See your GitHub activity on this exact day in history. 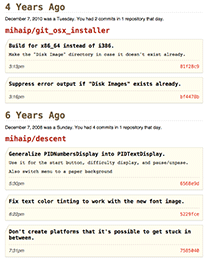 RetroGit emails you a daily or weekly digest with your GitHub commits from all the previous years during which you checked in code. Use it as a nostalgia trip, or to remind you of TODOs that you never quite got around to cleaning up. 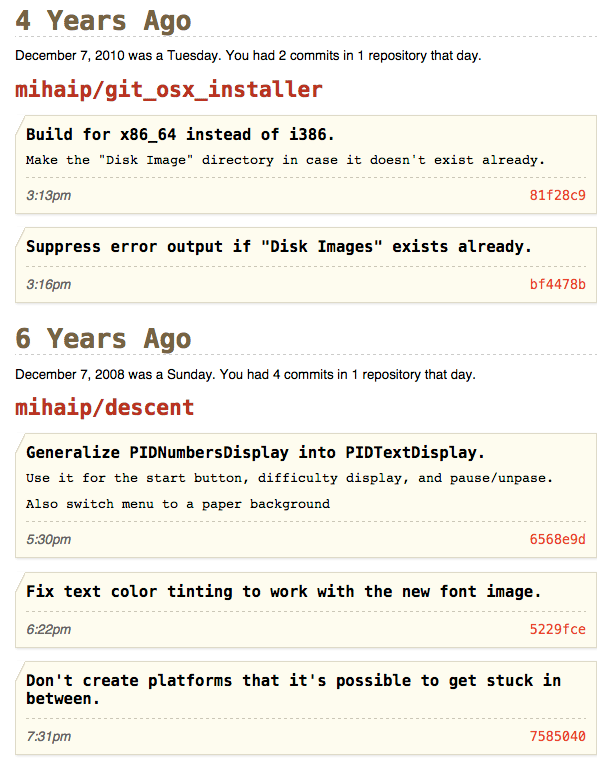 Think of it as Timehop for your codebase. If you have any concerns about how RetroGit uses GitHub data, please see the FAQ.